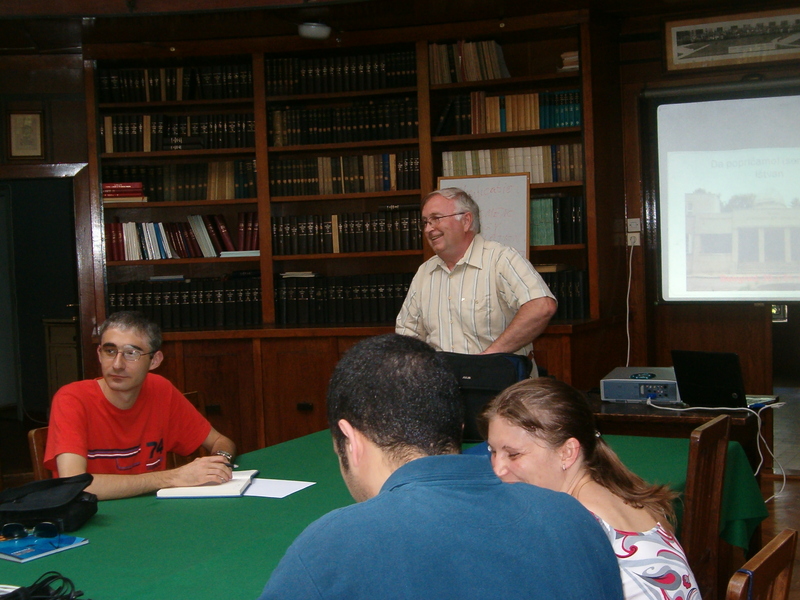 In the library of the Astronomical Observatory of Belgrade (AOB) a two-day seminar within the scope of the BELISSIMA project was organized on May 30th and 31st, 2011. The seminar was dedicated to photometric and spectroscopic measurements during which the participants learned the details about the spectrometer to be used at the 60cm telescope at the Astronomical Station Vidojevica was given by Prof. Dr. Ištvan Vince, the leader of Work Package 2. The first day Prof. Vince dedicated to the explanation photometric observations and the principles of taking the spectra, errors present in the procedures and the methods to reduce them as much as possible. Using various examples, Prof. Vince showed how the errors appear and how to eliminate them producing the spectra without artifacts. 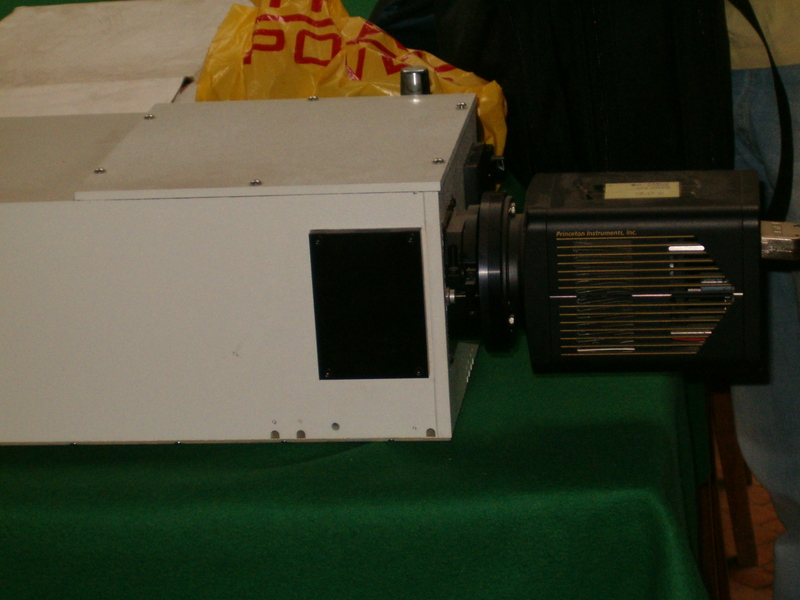 The second day was dedicated to the spectrograph and the description of its parts. Prof. Vince used the Solar light to produce the spectrum in the library. Using the light which came from the window of the library he managed to show the sodium line in the spectrum. 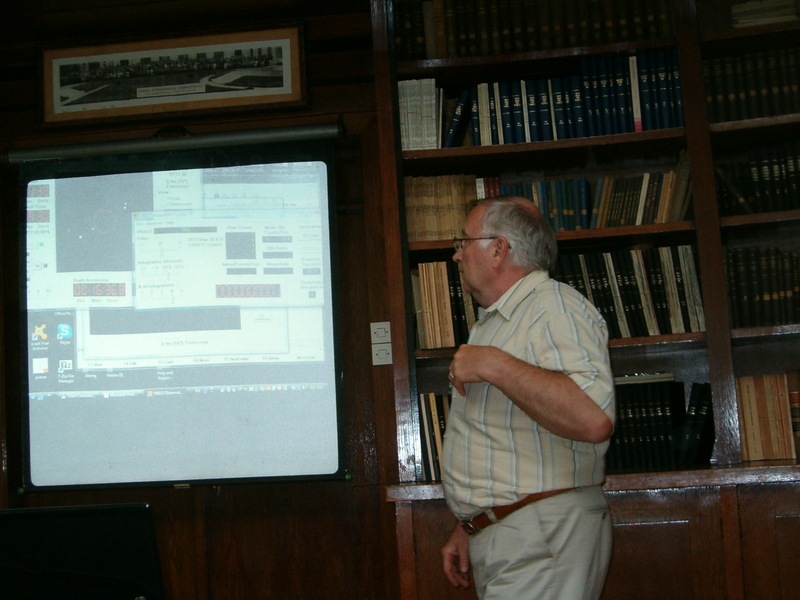 Prof. Vince also showed the details of the processing of the observed data, such as wavelength calibration. 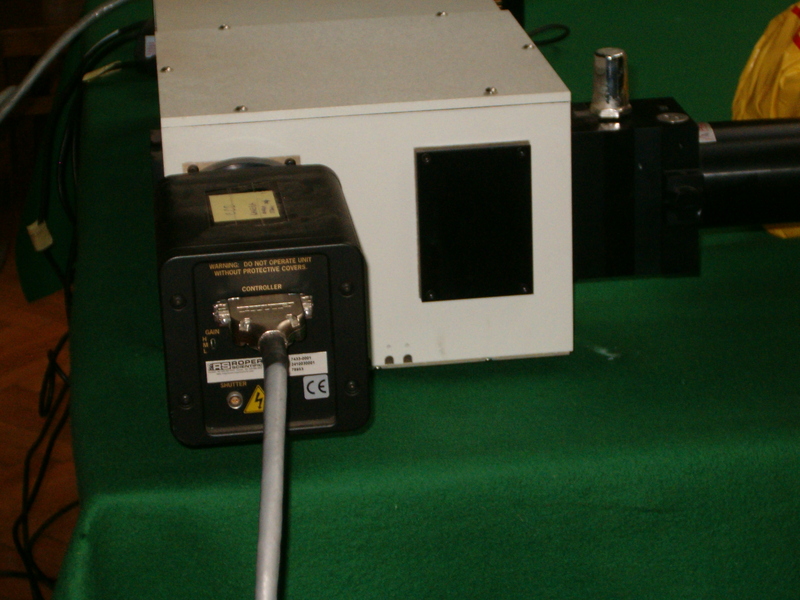 This very interesting seminar was presented in an accessible way thus making it understandable even to the participants who encountered photometry and spectroscopy for the first time in their careers. Fifteen researchers and students attended the seminar. AOB staff: Jelena Kovačević, Monika Jurković, Milan Stojanović, Dr. Oliver Vince, Nemanja Martinović, Dr. Gojko Đurašević, Dr. Goran Damljanović, Atila Čeki, Milena Jovanović, Veselka Trajkovska and Olivera Latković. 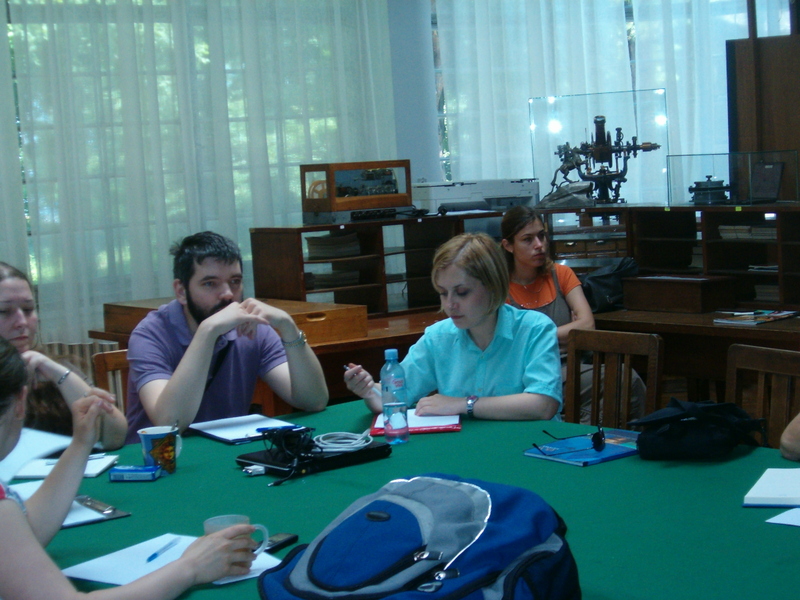 Students of astrophysics: Neda Stojković, Sanja Lazarević and Dobroslav Slijepčević. President of Amateur Astronomers Association of Serbia (SAAS): Dragan Radmilović. The presentation of Prof. Vincea is available here. 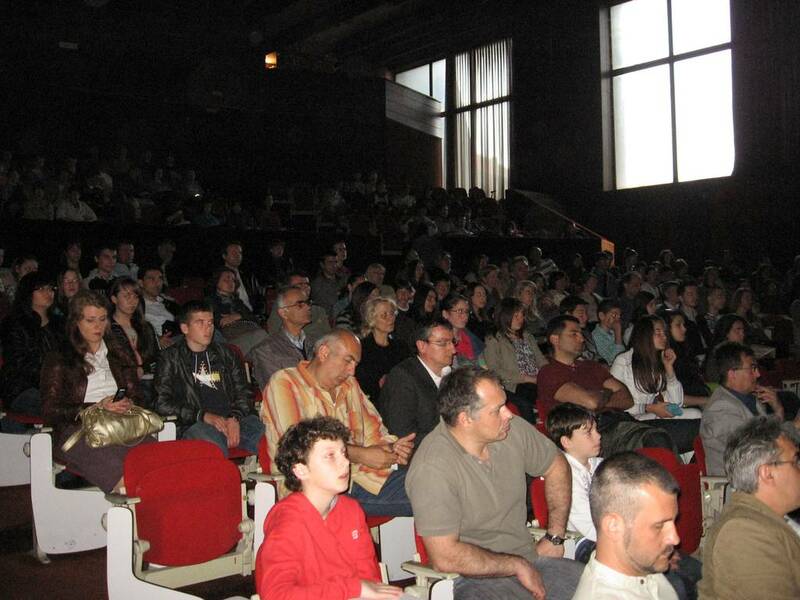 On the 12th of May 2011, in the amphitheater of the department of Natural Science and Mathematics, Niš University, an award ceremony was held for the primary and secondary school students and their achievements in physics competitions. Dr. Milan Bogosavljevic and Dr. Miroslav Mićić were invited as special guests and on that occasion have presented the latest astronomical events in Serbia as well as plans for the future of astronomy in Serbia. Dr. Milan Bogosavljević presented BELISSIMA project and the plans for building of a 1.5 meter telescope at the top of mountain Vidojevica, while Dr. Miroslav Mićić presented opportunities for the future research on supercomputers in Serbia with the talk “Supermassive Black Holes”. On this occasion, they have established cooperation with the Society of Physicists of Niš and contracted future projects related to astrophysical simulations and visualization for the purposes of public outreach (Work Package 3, WP3). 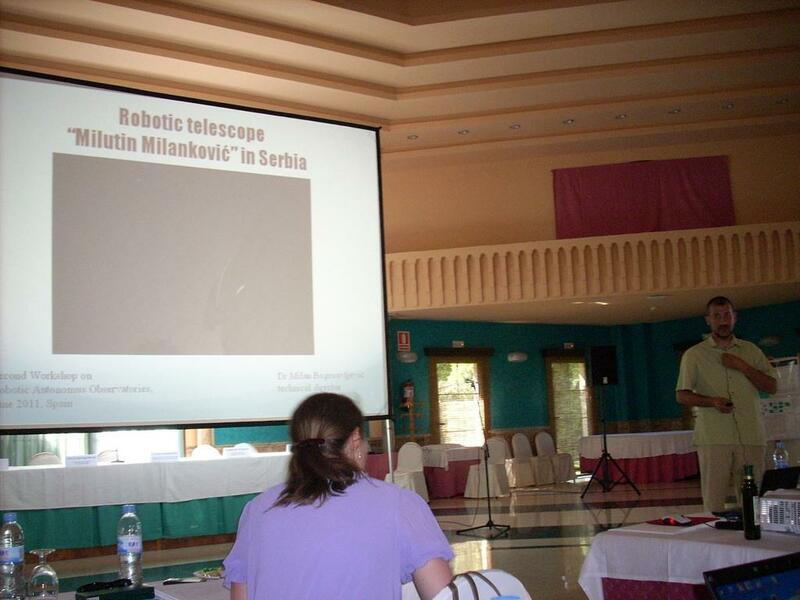 In a similar capacity, on 16th of May 2011, Dr. Milan Bogosavljević and Dr. Miroslav Mićić featured as guests at the astronomy seminar in the Research Center in Petnica where Dr. Bogosavljević trained the participants to operate the 1.5 meter telescope in Texas with the aim of observing a very special class of objects, comets in the asteroid belt. This is just one of many projects that are already planned for the future research performed on the 1.5-meter telescope at Vidojevica to be built within the project BELISSIMA. 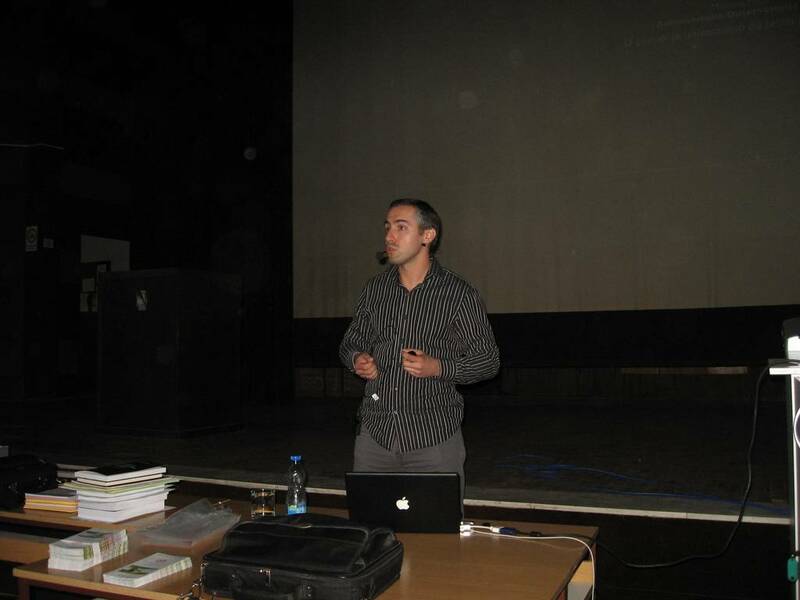 Dr. Miroslav Mićić presents the talk “Supermassive Black Holes” in Niš on May 12th, 2011. The audience follows the talk of Dr. Miroslav Mićić. In April and May 2011 numerous preparations have been done related to the beginning of operation of the 60cm telescope on the Mt. Vidojevica near Prokuplje. 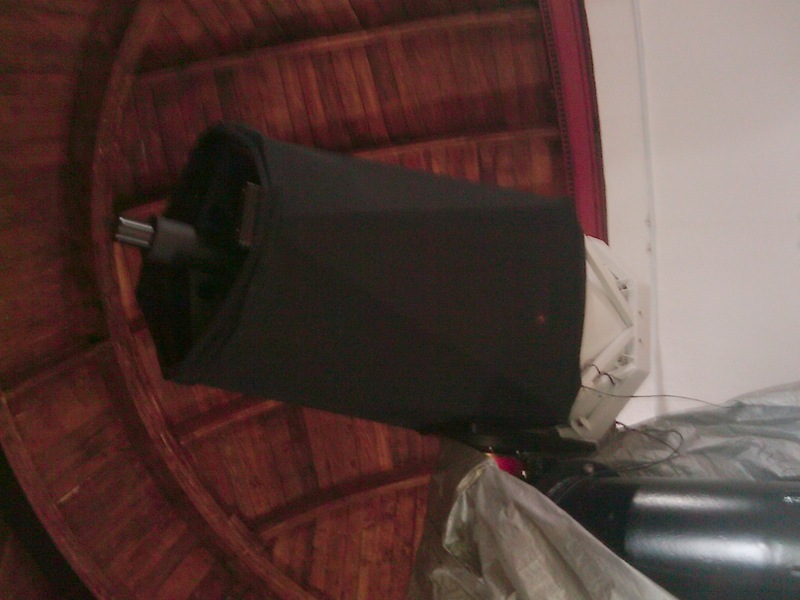 This telescope was bought using the funds of the Astronomical Observatory of Belgrade (AOB) provided by the Ministry of Science and Technological development of the Republic of Serbia (presently Ministry of Education and Science). 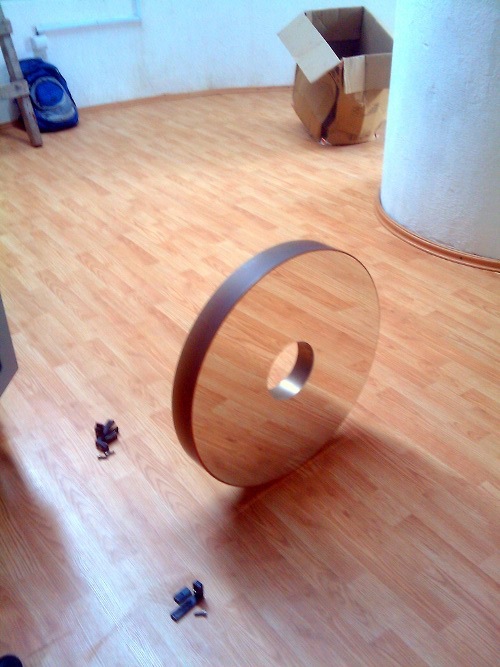 This telescope is a precursor of the planned telescope “Milanković” which will be mounted in its vicinity. Observations which the 60cm telescope will provide will enable the participants of the BELISSIMA project to choose the best configuration of the “Milanković” telescope. Several months after the mounting of the telescope which happened in October 2010, on April 8th 2011, it was finally put into operation: on that day, for the purpose of calibration of the telescope, Mr. Phillipp Keller (the constructor of the telescope) and Mr. Miroslav Taubenberger, the constructor of the mounting from ASA (Astr System Austria) company came to Vidojevica. On behalf of AOB the guests were welcomed at the Niš airport “Constantin the Great” by Dr. Zoran Knežević, director of AOB and Dr. Milan Bogosavljević, technical director of the Vidojevica station. The guests arrived with the private plane belonging to the owner of the ASA company. 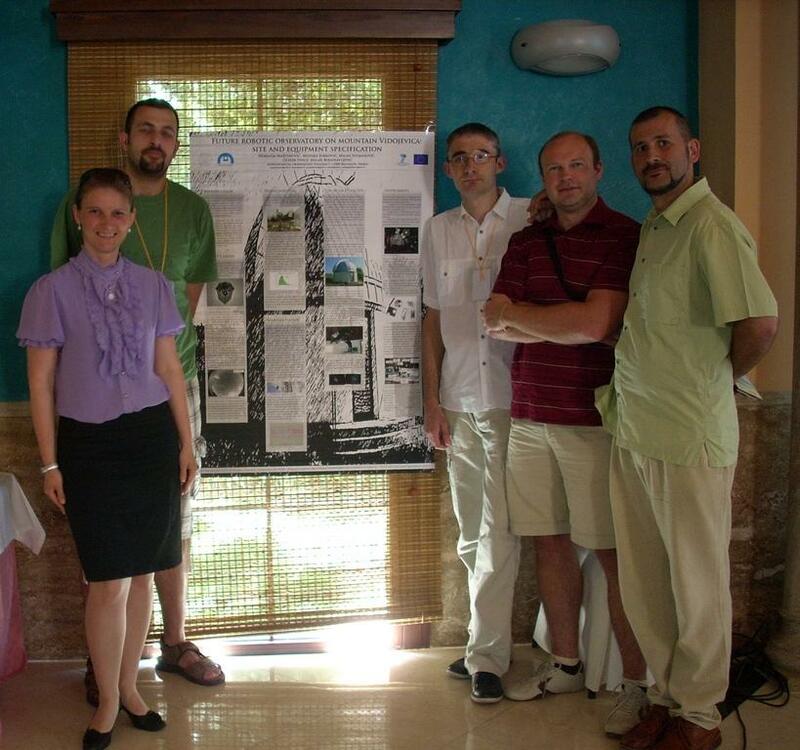 A day earlier a team for AOB had arrived to Vidojevica: Dr. Oliver Vince, scientific associate of AOB, Ms. Milena Jovanović, research apprentice of AOB and PhD student, and Mr. Dragan Radmilović, the head of the Association of astronomers amateurs of Serbia. In the twilight of April, 8th the calibration of the telescope started. which was supposed to last several hours due to very slow rotation of the cupola. The calibration of the telescope was done by using 20 stars where each one was on the opposite side to another. At 03:10 the telescope was pointed to Saturn: the quality was excellent and the planet was seen extremely good with a magnification of 600. On the first night several Messier objects was observed (M4, M104, M51, M27, M13 etc). All observers, most with a significant observational experience, very satisfied. this instrument the search for various celestial objects was trained taking the advantage of excellent visibility at the Mt. Vidojevica. From April 18-20th, several observers came to Vidojevica to test the camera: Dr. Oliver Vince, Dr. Milan Bogosavljević, Mr. Nemanja Martinović, research apprentice of AOB and PhD student, Mr. Milan Stojanović, research apprentice of AOB and PhD student, and Mr. Dragan Radmilović. The first night because of the poor weather conditions was not suitable for the observing and taking images and therefore only the training related to mounting of the cameras and the work with the telescope were performed. In the office of the main building the cameras and the computer to which there were attached were tested. However, after several attempts and various adjustments of drivers they could not be started. At the beginning of this month, from May, 4-6th, a team from AOB with the equipment came to Vidojevica: Dr. Oliver Vince, Dr. Milan Bogosavljević, Mr. Nemanja Martinović, Ms. Monika Jurković, Ms. Milena Jovanović and Mr. Dragan Radmilović. 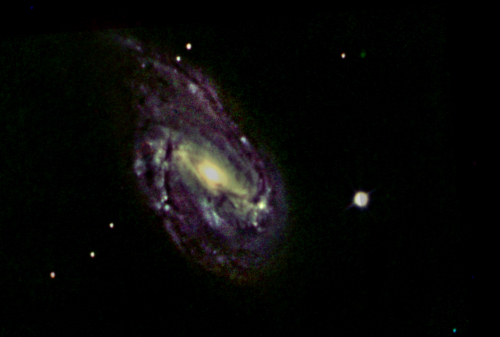 On that occasion first exposures using the CCD camera SBIG 10 were taken. That was the opportunity to train the establishing of the focus, expositions needed and other necessary observational activities. 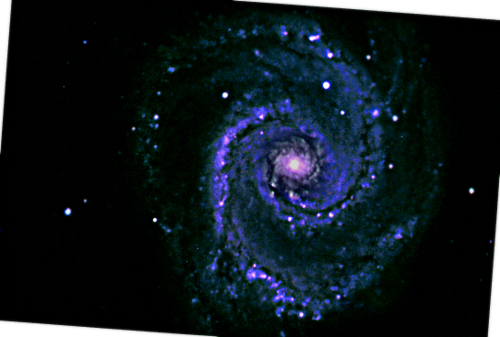 The images made during the first two nights were of satisfactory quality (see the images of spiral galaxies M51 and M66). The next visit will be used to test the possibilities of the instruments when the images of distant objects with large magnitudes are taken. The limiting values of the separation of binary stars as well as possibilities of photometric and spectroscopic observations will be studied. Several Web pages related to the observations from the Mt. Vidojevica are now in preparation and after intensive testing will be available to users. Dragan Radmilović and Miroslav Taubenberger mount the telescope.